2017 Update: We still think this is a great discussion of how to find the best planner, but you may also want to check out our latest discussion on our favorite office supplies. In our older post, readers recommended Levenger Circa, Staples Arc, Filofax, Russell + Hazel, Quo Vadis, Moleskine, Cavallini, Planner Pad, Exacompta 24, Erin Condren Life Planner. In addition to those, readers more recently have recommended the Bullet Journal, ShePlans planners, and the Simplified Planner. I’m still figuring out my own system, so I can’t wait to hear what recommendations you guys have today! For my $.02, I use a ton of different systems and haven’t found one good one that takes care of everything. I use a Google calendar for most things and send invites to anyone who needs to know about trips/outings/visits/etc; the calendar entries have any important things relating to the calendar entry — a description, an address, questions I want to ask — if it’s a flight I have the airport, airline, flight #, estimated landing time, etc. On my iPhone I’m a big fan of the app, Tiny Calendar, that syncs with Google calendar. For blog planning purposes we use Trello, which comes with a calendar and is an easy way to keep track of a lot of different tasks; we love Slack too but we’ve found it hasn’t worked the best for general planning purposes. Personally I use Remember The Milk to keep track of different to-do list items. On the paper side of things I splurged this year and bought an Erin Condren Life Planner — it’s a beautiful, beautiful planner, but I primarily use it for recording cute things the kids have said and (more recently) trying to put a checkmark on each day that I’ve exercised or eaten well — for those simple tasks for 2017 I already bought a $.99 planner that will do the same thing. 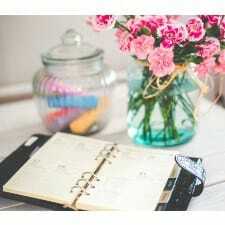 I love the idea of The Five Minute Journal for planning my day (pick three things to do at the beginning of each day, and at the end of each day recording what went well and what could have gone better. I’m also a fan of a giant to-do list on a notepad in front of me — every few weeks I cross things off and move it to another list. (I’ve experimented with having this giant list in RTM and keeping a printout in front of me so I can check things off — for some reason I prefer just having it on a paper notebook.) I’ve also experimented with laminating pages of paper that have spaces for me to think about goals for the month/week/day — more recently I also tried to laminate pages that have a little box for all of the different aspects of the business I should be thinking about, but that hasn’t worked out so well. I’m curious to hear what you guys say — what planner are you using currently; what have you used in the past? What do you love about your system(s), and what do you hate about it/them? 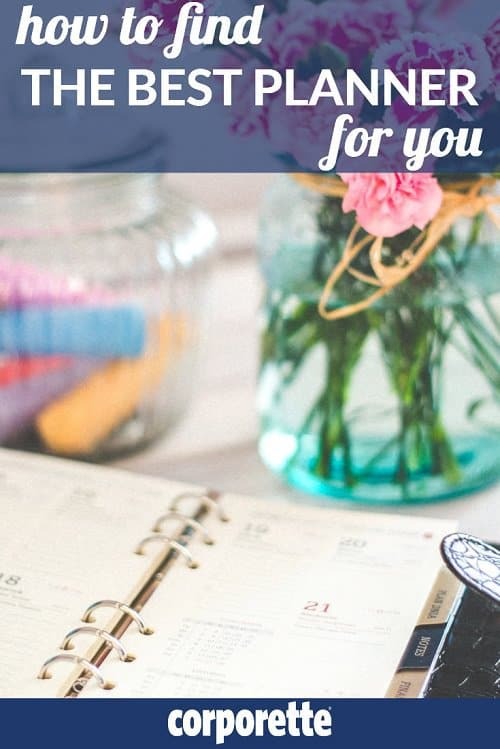 Do you feel like any system can work if you’re diligent with it, or that planners are personality-driven and you need to go through several to find the best planner for you and your personality? Psst: we’ve also talked recently about best practices for Evernote, as well as the best apps for working women. I love Google Keep! You can make lists on your computer and they’ll automatically sync with your phone too (or vice versa). I’m ridiculously excited to try this! I use evernote on my phone, but something that syncs would be perfect. Evernote syncs between devices too. The free version allows 2 devices between accounts but the paid version allows multiple. I sync between my phone, tablet, and desktop. I’ve found that whatever system you use, make it a monopoly… there’s no quicker way to forget something than to have multiple calendars! I use my work Outlook for everything. For events that aren’t work related, I mark them Private. If it’s just something that needs to get done on a particular day (rather than a scheduled appointment) I put it in an early morning slot. If my husband is involved in whatever the thing is, I send him a meeting invite (and vice versa). I guess there’s a risk that I could lose my job and have to re-create, but that’s a chance I’m willing to take. For work to-do list, I like old school pen and paper. For shopping or personal to-do lists, I’m actually pretty happy with the Echo/Alexa feature. I also keep relevant info in Notes on my phone so, for example, I have the dimensions of our windows handy when I’m on the hunt for curtains. I have just gone back to a paper planner in the past year. This year’s planner was just a $3 special from Target, but I’ve added stuff and decorated it to make it my own. Just bought a Blue Sky Planner for 2017, and I’ll still have to add some stuff but not much. I looked hard at Erin Condren and the like, but can’t justify that on a planner. I had a day runner when I was in highschool, and it did a great job for keepeing me on track. Dad gave me his and I used it into college each year. Now my firm uses the Iphone apps to keep us on track plus a litigation calendar on the computer that the manageing partner designed. I do NOT like it that much b/c he will NOT let me put personal items on it and I can NOT tell if I have a medical appt when he schedule’s me for Depos or litigeaiton meeting’s. FOOEY! Ellen needs a wedding planner! Any volunteers? Dealing with her dad could be a Challenge!? I love the functionality of the Franklin Covey planner which provides two pages per day. I just really dislike the look of the planner. Does anyone know of other planners that provide two pages per day? Filofax used to do this, not sure if they still do. My husband has day timer pages that do this based on a recommendation I got here. At work I use Outlook and then a notebook where I write a to do list for each week on a new page. These are really nice, and quite reasonably priced! I think I may order one – thanks for the link. I’m a broken record on this, but Levenger Circa planners, or the less expensive and just as nice Arc by Staples. Tried it- the pages kept falling out for me, and I found it incredibly annoying and unwieldy. I’m using a Moleskine with cardboard cover (it was one of their Artist’s Collection notebooks a few years ago- the most similar now seems to be their XXL Cahier), 8.25*11 as a bullet journal. At first (read: for 1 week) I was using both that and my 2016 Moleskine planner, but now I’m just using it as my planner and bullet journal. Having my to-dos, lists of books I want to read, etc. all in one slim location is really awesome, and I love that I get to make it exactly what I want it to be. I don’t do any of the fancy doodling or Pinterest stuff; it’s extraordinarily utilitarian- the best thing I’ve got right now is that I took a felt tip marker and a ruler to this week’s spread to draw out the days. A certain amount of this is because I can’t draw. A much larger part is laziness. For work everything is on Outlook, for personal life everything is on iCloud (I use the Reminders app for practically everything because I like lists). It’s just a million times easier not to use paper. I just went through this. My biggest concern was with tracking to do items on a daily basis that don’t necessarily have hard deadlines. Because of the lack of deadlines, the Reminders app on my phone wasn’t cutting it. I have a 3-part system happening now and I’m still ironing out the issues. Work Outlook: All work appointments, appointments I’ll need to leave the office for, and days off are in there. I’ve started putting in “out of town” appointments in for weekends when I’ll be away so I have that info in front of me if I’m put on something that may require weekend work. iCal on my phone/laptop: All personal appointments, trips, and work appointments. I’m trying to keep this up because it’s easiest to schedule appointments with my phone in front of me and don’t want to risk scheduling something that would conflict with a work thing. Paper planner: This is totally new. I bought a large Dokibook (it’s A5 size) because it was pretty. Planner binders are somewhat expensive to begin with so I paid a small premium to get one that I liked the look of. I’m using the Dokibook monthly calendar pages that have a month spread over 2 pages for now. When I run out, I might just start printing from iCal because I stress over getting my handwriting small and tidy enough to fit in the boxes. I never found anything I really liked for daily pages so I made some for myself in Excel. I have 2 pages for each day. On the left hand side I have 24 hours divided into 30 min increments for appointments and such. My work day often begins at 6am and on weekends I sometimes have plans going until late at night so I wanted as many hours as I could fit. The 24 hour range also helps when traveling and dealing with flights at odd hours. On the right side I have check boxes for the top 3 things I need to do at the top, then a bunch of checkboxes for other to do items, then just a lined section for notes (things like confirmation numbers when I travel, etc). Last week I added a new section for habits. I have a list of things I want to do every day (track my food, hit the move/exercise/stand ring goals on my watch, etc). Then I have checkboxes for each day of the week. I have several other divider sections including quotes, a power hour to do list like Gretchen Rubin talks about, gift ideas, etc. These are all just lined paper. I bought thick A5 printer paper to print my own pages as well as an A5 6-hole punch. The A5 paper I got is slightly longer than the Dokibook pages so I use a paper cut1rr to make them even. It’s been easy to adjust things to my liking since I can print them myself. It took awhile to get it all figured out in Numbers/Excel but I like what I’ve worked out so far. Has anyone bought the Five Minute Journals? I kind of love the concept of it. I used a Day Designer for the first 8 months of the year but it was heavy and I got the feeling like it wasn’t targeted to women who work outside the home. A spot to write down what’s for dinner? I usually don’t know that until I get home and see what my husband made. And some of the daily quotes were very Christian. Man I LOVE my Day Designer! I don’t always read the quotes so no comment there, but I’m hyper sensitive to religion and haven’t seen anything yet that bothers me. And I use the “dinner” spot to record my plans for dinner b/c I’m often not home. I only recently went to a paper planner and now I cannot imagine life without it! Day Designer is great b/c of the one page/day setup and the long/robust area for to-do lists. I also use Google Calendar for work. I sort of got the same impression of the Day Designer. I use the Dapper Desk planner, the “male” equivalent to the Simplified Planner (very similar, but simpler, than the Day Designer). Personal preference, but I just cannot with bright colors, patterns, spots to record dinner, etc. I use outlook for calendar and a moleskine with daily pages for to do lists. I usually write the next day’s priorities in the evening before I leave work. Work events/meetings go on my work Outlook calendar. To-do lists for work are written on paper (usually post its) and re-done 2-3 times a week. I use the Notes app on my iphone for various lists (grocery list, Costco list, personal to-do list). I use a Kate Spade planner for personal/family planning (doctor appts, birthdays, events), although these also go on my work calendar if they are during work hours. We also have a dry erase board on the fridge with that weeks events. I asked this the other day and someone suggested bullet journal. I’m just sort of dipping my toe in, but I think it’s going to work really well for me. It forces me to keep my google calendar updated (which is good for keeping DH and I on the same page), and eliminates to-do-list plus paper calendar plus google calendar. We’ll see if the excitement lasts, but so far so good. Pinterest has some great ideas. I’m TERRIBLE at the art-y stuff. But I love it so far. I still use my Outlook/Gmail calendar, though, because I need the reminders on my phone. I started using the bullet journal method (or at least, my version of it) in June and I love it. I’m a lawyer and needed a way to track daily, weekly and monthly to do items, which all have varying levels of urgency. Previously I tried using the Task feature in Outlook, but I didn’t love how there is no way to I like how the bullet journal lets me see my to do lists sorted in this way. I also like how it forces you to physically move items that don’t get done week-to-week or month-to-month. It’s a good reminder of the small task items that may have been forgotten otherwise. I don’t use bullet journal for actual events (I use Outlook on my work calendar for that) but I do use it to track meaningful “big” events, such as court dates, birthday parties, trips, etc. I think it will be nice to look back on once the year is done. I keep my old written planners from law school for this purpose and really like it. I spent far too many hours about a month ago trying to figure this out. I had been using a Passion Planner in the compact size. I found that with my loopy handwriting and all of the things I wanted to track throughout the day/week it was too small. They had a sale on all dated planners for $5 (!!) so I ordered the regular size (8 1/2 x 11ish) to test out for the next couple months. I like it much better. I have started adding some little lists and can track items better. For a “to-do” list for work, I have a legal pad that is broken out by department with outstanding items (it is even color-coded with highlighter so that I know where the particular item is). I use outlook/google calendar in conjunction with the Passion Planner. I will typically fill out all of my meetings and events a month or two at a time in my planner. Each week I spend some time checking my outlook and planner to make sure they are up to date for the next 2 weeks at a minimum. The google calendar syncs items to my outlook which is helpful when it comes to events with friends. Personal to-do/shopping lists are written in my planner and then I’ll take a pic to bring with me in a store. This is my general work notes pad. The top page will be re-written on a weekly basis and that page is broken out by department. Any notes I make in the notepad are ripped out and put in the appropriate file, if needed, or acted upon and then shredded. This makes it easy for me to have a quick look status of any items that are outstanding and a place to take notes for meetings that are a bit more general. For meetings on specific on going issues (a particular case in litigation, for example), I will have a separate legal pad specifically for that which I keep in its file. Google calendar for personal stuff. Paper planner for work stuff (I scribble notes to myself and it would be a huge hassle to put them in a computer), plus I put any doctor’s appointments, etc., in an Outlook calendar so my team can see when I’ll be out. Hanging paper calendar on the fridge, mostly so I can say to my husband “it’s on the calendar!” when he forgets about something we’ve planned. Google Keep is great for lists I need to keep long-term — stuff like what clothes my kid is going to need next summer — but for short-term stuff — grocery lists, phone calls I need to make in the next week or so — I prefer paper and pen. I use my Outlook Calendar for work appointments. For work items that also affect my husband (work trips, events, etc.) I send a meeting invite to his google calendar and mine. Dr appts usually go on my work calendar with an invite sent to my google calendar. Personal events/commitments/etc go on my google calendar with an invite to my work email (only if it’s within work hours). I use Evernote mostly for packing lists and recipes. It’s ok, but it doesn’t sync perfectly and the recent changes have reduced my use of it. I can’t believe I haven’t heard of Google Keep since I typically use all things google. I use Google Reminders for almost every personal item I need to do – drop off dry cleaning, pick up prescriptions, etc. I can create a reminder via voice commands. Perfect for when you’re driving and remember something you need to do. For work to-dos I keep a running list on a large lined post-it note. When I’ve completed most of the items on the list, I rewrite on a new list. Seems to work pretty well. I put a checkbox next to to-do items in my larger notebook and then transfer them to the official to-do list when I get back to the office. This is the only paper part of my system, and it fails only when I work from home unexpectedly. Otherwise, I really try to keep everything digital since I know I’ll always have my phone. Outlook for all work stuff and anything personal that veers into work hours. Moleskine Pocket Weekly Notebook for personal stuff and notes of work stuff that extends out of 9-5, e.g. early and late flights or early meetings. CatToo: Outlook for calendar, Wonderlist on my iPad for lists. You can share access to them or email them. I’ve used my NeuYear calendar and planner for years at work, and love them. I like blocking out my time, and I work off of three ongoing lists that every week I transfer over (write a new list) to a new week. Every Friday I take a little time to “review week and plan for next week” to do this. Also, I use a highlighter for each day of the week and highlight items as they get done, so if something I had planned to do Monday actually gets done Tuesday, I can tell when I look back which has been REALLY useful. I used to use a notebook with one big ongoing list and just highlight items as they got done, but over time I found it to be really terrible for looking back. As my role/company has grown, I have to rely on my notes to keep track of the details, and so it’s important that I can quickly find them. A weekly planner with lots of space for notes and the highlighting system really was a game changer for this. I love your highlighting system. That is a really good idea. I can tell what I’ve been putting off because the same item appears for several days in a row on my to-do list, but the highlighting would make it really easy to see quickly. I use the Get to Work Book planner. I like that it has a list format rather than a dated daily format. And the cover is just plain – not cute and girly like so many planners. I don’t feel like a high school tween when I go to a business meeting. 2017 will be my third year using the planner and I’m not even looking for anything else. In fact, I usually transfer my outlook appts to the paper planner because I carry it with me all the time. I don’t always have my phone with me in meetings and it is so much quicker to just flip to a page in a calendar than use the phone anyway. Planner Pad. I am an in-house generalist so it helps me breakdown my to do list by discipline (contracts, litigation, IP, etc. ), then by day and finally by hour on two pages for the week. There is not much style, if any, but it is extremely functional. I calendar EVERYTHING in Outlook and invite my husband as needed. I keep a list of open and closed projects with the current status in a Word document to assist me with the projects that don’t necessarily need daily attention, but should not be neglected either. I usually review that document once a week. All of my grocery and packing lists go on my Notes in my phone. I once ventured into the #planneraddict abyss on Instagram and almost never came out. There is a very, very large group of SAHM’s who have the same Whipping Post tote bag filled to the brim with Orla Kiely for Target pouches, Midori journals, and Erin Condren planners that they’ve stickered and washi taped to high heaven. Some of them post snaps of their daily agendas and they usually read something like “drink coffee, go to Target, and take Everleighraye to dance.” It’s like high school 2.0. Buy the expensive things to be in the exclusive club. I use the Dapper Desk planner for my personal life and the Dapper Desk legal pad for my work life. The left side of each is where I plan my day/track my billable hours and the right side of each is where I keep my to-do lists. If something doesn’t get done on a particular day, I have to physically transfer it to the next day. I use Outlook calendar for appointments/meetings. And I use Outlook tasks to remind me of far off to-dos (for example, for some clients who I know are less than responsive, I’ll set monthly or weekly reminders to check in with them re: the status of a project once everything is with them). For those of you that carry a physical planner – what type of purse do you have? I prefer carrying a cross-body purse to prevent overstuffing (currently have a Fossil purse – just one main compartment with smaller outside zipper compartment). I’m thinking of moving to a physical planner to help keep my mind sane. Currently all appointments (work, personal, family) are tracked in Apple iCal (synced with work Outlook). DH and I have trips/family/friend appointments on a shared calendar, my work stuff is on a work calendar, and personal appointments are another. I’ve been trying to use Wunderlist to keep track of Work to-dos separated by various cases. However – I still keep resorting to post it notes to write stuff down at my desk. Hence thinking about moving to paper calendar. I’d like to buy a new cross body bag that can fit a planner the size of an Erin Condren/Day Designer/Simple Planner/ or other non-tiny planner. I tried a small moleskin notebook planner but it was too small. Any ideas? 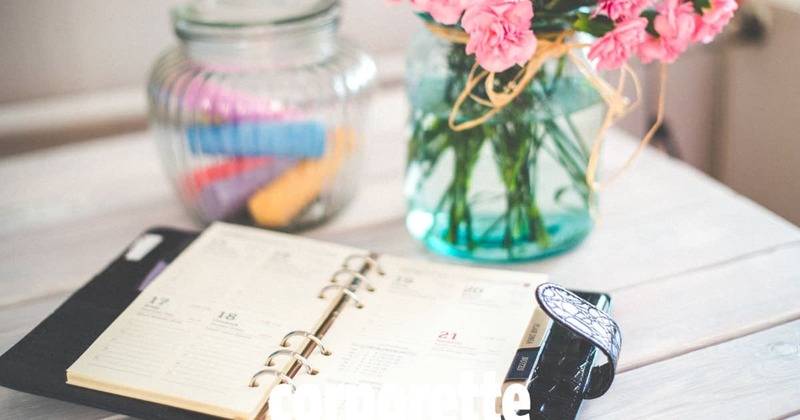 That’s the most challenging part of my planner addiction – it’s heavy carrying it around. I’ve tried Kate Spade, Filofax, Erin Condren, etc… and I always come back to my Levenger Circa. Staples arc isn’t the same – paper quality is much lower so the pages fall out. I use the junior size from levenger, which is about the same as A5 size. Erin Condren is even bigger. I love being able to move pages around or take them out if I mess up in levenger. I know you can do that with a filofax, but I like to be able to fold the planner over so it’s easier to write on. Good luck! Totally agree about Levenger Circa. TUL has a discbound system at OfficeMax, and they recently figured out the pages need to be more weighted. Huge improvement, and I’m going to try it for awhile to see if holds up like levenger paper does. As someone with ADHD, I’m *constantly* shifting between planner methods to try to find something I can keep with. What works for you vs. someone else is highly subjective. FWIW, a brand I rarely see people talk about is Agendio, which lets you customize your pages and layout down to a lot of detail. (https://agendio.com/). You can also choose to use their system to create inserts for Filofax, Franklin, Dayminder or other standard-size binders, unlike a lot of the planner trends right now, Agendio looks pretty “adult” and professional (it’s not pink, covered in glittery stickers and flowers, etc.). I love all those fun touches as much as the next person, but depending on your office and job, it might be harder to pull those out to make notes during a tough meeting or something. Right now I’m using a May Design/Target colab that was $10, and it’s working for me. That’ll probably last about 3 months until I need to switch it up again. –With the above, rewriting my to dos every day and at the end of the day having all of the tasks marked for either done, canceled, or forwarded/rescheduled. –Numbering my notes pages and keeping track of ongoing lists with an index. I specifically bought a planner with a bunch of extra notes pages and keep lists of movies to check out, book recommendations, easy dinner recipes for when i’m in a funk at the grocery store, etc.